As part of it's handling and conveying range, ABC Hansen offers mobile reception hoppers, with capacities ranging between 30TPH and 216TPH. allowing for side to side or forward movement. This unit provides a convenient method to unload into a bucket elevator, mobile augers, chain conveyors, belt convyeors, grain loops or fixed augers. The flex angle connection provides a level hopper in any position. 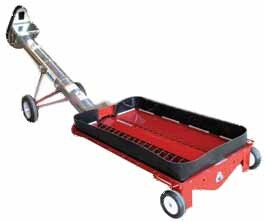 • Low profile 8 3/4" (22.2 cm) unit makes operation of driving over and unloading an effortless task. 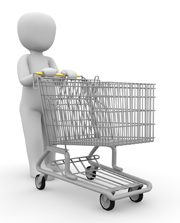 • Portability provides convenience of quickly moving to next location. Lower the wheels, fold up the ramps and you are ready to go. 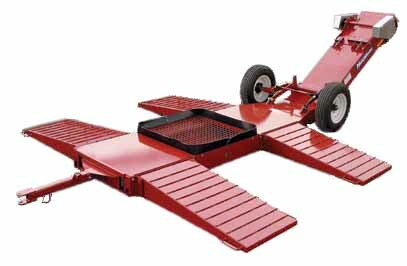 • Rotating the axle by employing the ratchet jack along with using the hitch jack allows easy conversion for hopper transportation. 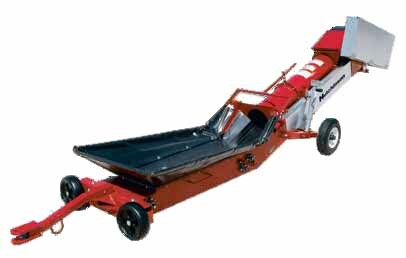 • The low profile hopper requires only 9 7/8” (19 cm) of clearance with end wheels installed. The Portable Belt Conveyor Transfer Hopper can be powered by your choice of a 5 hp (4 kW) Electric Motor or a Hydraulic Motor. Integrated incline adjustment: A jack stand integrated into the side of the unit lets you quickly adjust the incline of the discharge. Swing Away Kit: The optional Swing-Away Kit includes hopper pivot wheels and a discharge spout swivel bracket. This kit allows the portable unit to be adapted to an existing Portable Belt Conveyor for added versatility on your operation. Towing Kit: The optional Towing Kit includes the basic undercarriage with roadway wheels, tires and hitch.